New BBC swap, with some new Ideas! Discussion in 'MISC. mods and equip.' started by MarauderPrime, Jan 4, 2019.
and intended to flip, as it had a flattened cam lobe. , and they cant charge storage until the job is done, and they have been storing it inside, I haven't made any effort to get the car out of storage. I prepared filed by the end of the day, and return with the Sheriffs to recover the car. 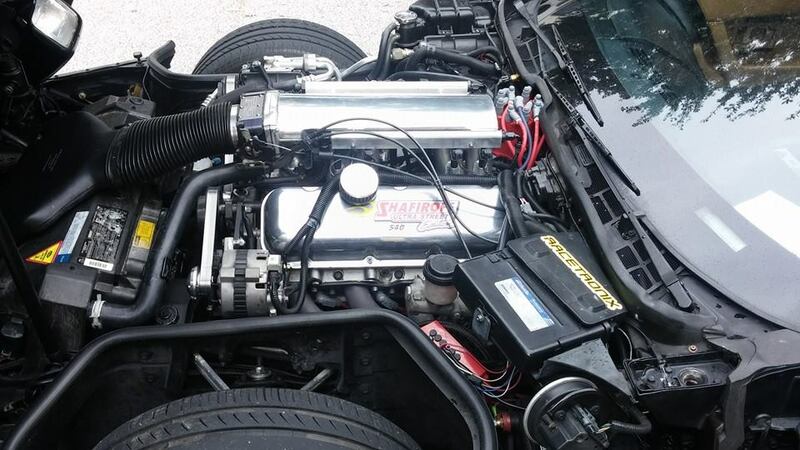 It has a set of Skip white NKB heads, Ram's horn manifolds, and a gm flat tappet 327 300 hp cam in it. (even though they are clearly not, and the car actually ran in that configuration. (which we already know they did, because the car ran in that configuration. the Battery loses its charge, and every seal in the car goes bad. so I sold my other 2 project cars in the anticipation of getting the car back to put a turbo on. and seeing if I can get it to clear the stock hood and parts with the right combination of swap parts. I aim to keep a detailed log with lots of updates to share. or notching anything with the right combination of parts. I believe my toughest issue will be getting everything to fit under the stock hood. I don't suppose anyone knows if the stock L29 vortec manifold would fit under the stock hood? and then running an Accufab low profile 4150 throttlebody on it with a drop base air cleaner. although If I could get the L29 manifold to work, it would save a boatload of money! I am also interested in doing this with as many factory GM parts as possible. Lofty goals, but I have had some fairly successful projects in the past. Happy to be here, and look forward to our future discussions! Looking forward to reading your detailed log about your Vette!!! welcome to the web site, and yeah, pictures of the corvette would be great here! I have them bookmarked and read through them often haha. So far all of the swaps and articles I have seen were based around a bbc long water pump. Edelbrock now makes a 5.750 inch short reverse rotation water pump, that is actually slightly shorter than the factory c4 sbc water pump. I called kwik performance, and found out that their sbc to bbc bracket adapters will work with the stock corvette accessories and crank pulley on a big block, so I’m going to end up with all of the factory c4 accessories and brackets in the stock location. Based on the measurements I’ve taken, the crank pulley will be 2” further from it’s stock location. I am purchasing a ZR1 evaporator cover (thanks Grumpy), and the gentleman I am buying it from informed me, then showed me pictures as proof that you can move the stock c4 k-member forward .55” which is not enough to drastically affect the handling, and then dirty dingo sells bbc mount sliders which would allow me to then slide the engine back a full inch, think there isn’t that much firewall clearance, but there is enough that I think I can get the crank pulley to a spot where it is only an inch forward. Why not forgo all that craziness and put an LS engine in it? OR build a HUGE 23 degree small block with your turbo deal? While moving crossmembers, etc will not affect handling that much, an extra 200 plus pounds on the front certainly will. This will be interesting to watch - best of luck with it. Bring it home and do it yourself. What this website is for. and do you think they may have another one or several more for sale? there are a number of reasons I want a big block. I’ve already had a turbo ls g-body, and it was great. 3400 lbs 5.3 s366 t56. I liked it, it felt similar to my 2011 gt500, but lighter, and didn’t sound quite as good. Unfortunately as g-body’s do, it rusted out from under me quicker than I could fix it. I could do a turbo small block, and have 90 percent of the parts to do it, and still flip flop about it back and forth all the time, but I imagine it would be pretty similar to what I just had. More displacement, less head flow, same turbo, a little less weight. Honestly, I was planning on consolidating all of my vehicles, the Monte (already sold it to a nice guy who is turning the body work into a father son project). My 2002 crown Victoria sport which is for sale that runs low 13s on the motor and mid 12s on the bottle. And dump my current toy a 2018 392 charger, and get a gen 2 or 3 viper. Then I stumbled upon this website. I read and read and read. I have had a supercharged car, and 2 turbocharged cars, and what I realized is that I really enjoy the feeling of driving a car with just a really big engine. I actually prefer my charger to my old Shelby as far as drivetrain wise. I’ve never had a big block, I’ve always wanted one, and I started kind of doing a cost benefit/comparative analysis of a viper vs a bbc c4 corvette, and the c4 stacks up incredibly well. Phase 1 of the project is going to be just getting the engine in there and running as cheaply as possible. Proof of concept if you will. Probably stock L29 with factory efi, mated to the 700r4. 488-512 cubic inch aluminum v10 making 450-515 hp. 3250-3400 lbs. depending on the model. When you start considering other factors like durability and longevity, ease and cost of service, parts availability, etc. etc. 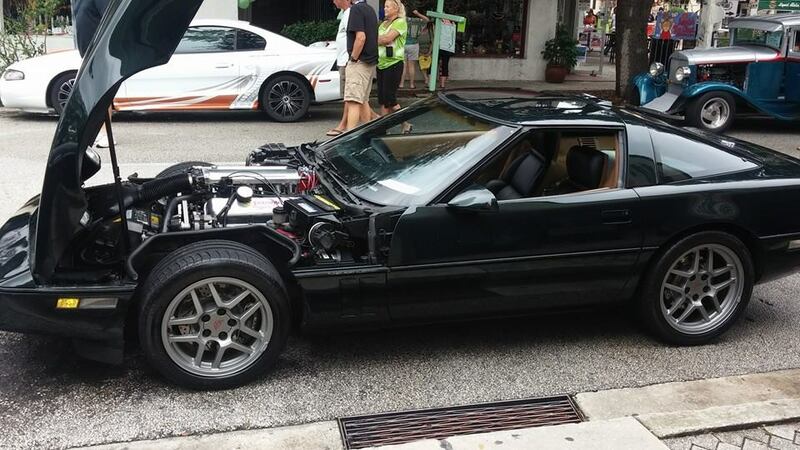 the Vette starts to pull away. I could still elect to do the turbo sbc, but I really want a big block. I don,t know a single person who has done that BBC C4 swap that has regretted doing it! Big Block Chevy is the way to go if you can wing it. Grumpy knows how to do it in a C4 Corvette. Pontiac vintage muscle you want to keep Poncho powered. Value is very high today. Potential to run true 11s on street with a C4 Powered by a BBC 496 is there. Welcome Blake. Good to see you are doing your homework first. Grumpy, do you have any videos of that car cruising around? Also, I’m assuming the black one is yours. Do you still have it? larger radiators, higher stall converters, oil coolers and accessory drives are added or swapped as the owners finances allow. but theres certainly no reason a semi skilled hotrodder can not build something similar ,with his own unique mods and tweaks. so you dont want to be driving a car with a crappy interior,rusted frame and body that needs massive reworking and paint or a new drive train. So that’s the c4 ZR1 evaporator cover I was talking about, that takes care of the valve cover clearance on the passenger side with standard l29 Vortec valve covers. Through my hours of reading and research, I have found that some folks say that the wiper motor fits, as long as you take it out for install and then reinstall it after the motor is physically bolted in place. Other people have said it doesn’t fit, then the other day I found a thread where someone referenced a “low profile” wiper motor. Is there a particular motor I am looking for from a c4? Is there one from another vehicle that fits that I have to use? similar evaporator cover? what was the cost? Id suggest you, do what Id do, in that case..
take careful measurements of the existing wiper motor and pictures, of the original O.>E.>M.